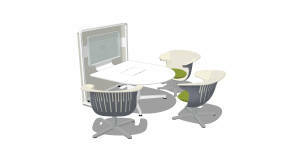 Collaborative work often occurs in areas where people can sit comfortably with one another. These spaces need a chair that lets them stay connected to each other and their information. 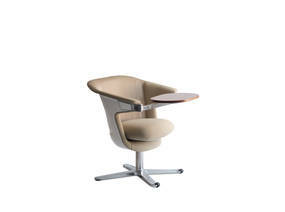 The i2i lounge chair was designed specifically to foster collaboration. Users can stay more engaged; they can retain eye-to-eye contact and eye-to-information thanks to the unique i2i dual swivel mechanism. 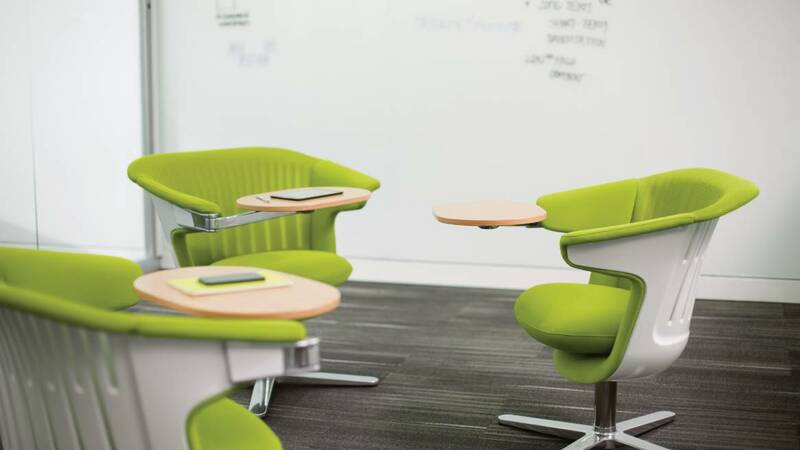 Designed with collaboration in mind, i2i is a new alternative to traditional lounge seating. i2i moves with the body as the user shifts through various postures. 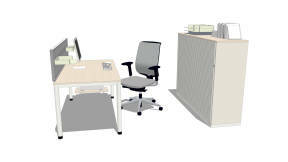 Each time the user moves, the flexing fingers of the back give appropriate support according to the position. With no adjustments, i2i allows users to get comfortable quickly and stay engaged in their work. 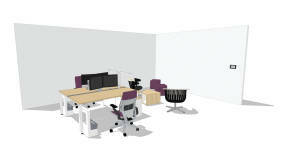 i2i encourages movement and comfort for longer periods of time. 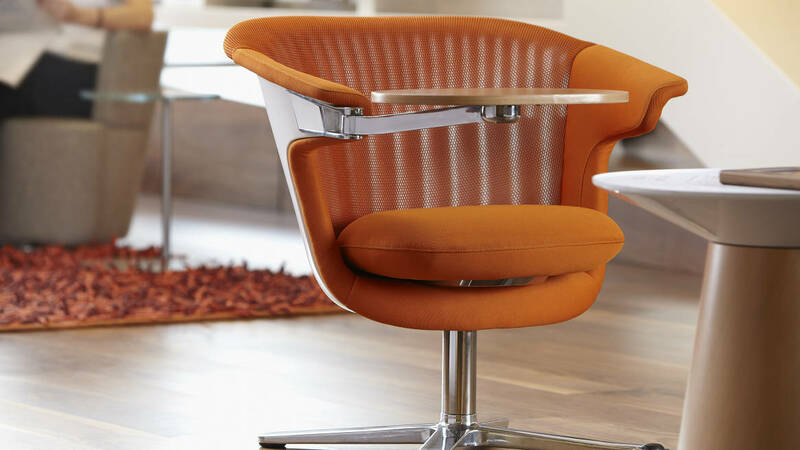 The dual swivel mechanism allows users to shift postures quickly and easily, helping them to stay focused and engaged. 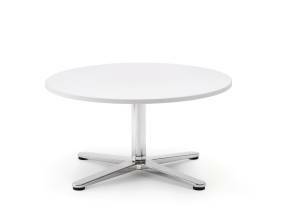 The swivel base promotes movement and provides support in a variety of postures. 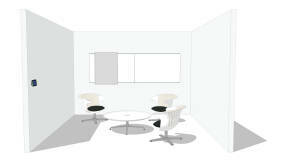 i2i is also ideal for welcome areas, in-between spaces and small collaborative areas in open and closed office environments. 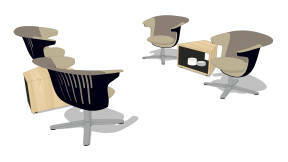 i2i allows the ability to customize with a wide range of colors and textiles. 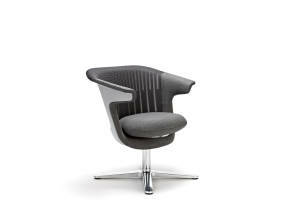 3D Knit material standard on the chair back with matching Atlantic upholstery on seat, or with a seat upholstery of your choice. Observation. Collaborative working takes time. Insight. 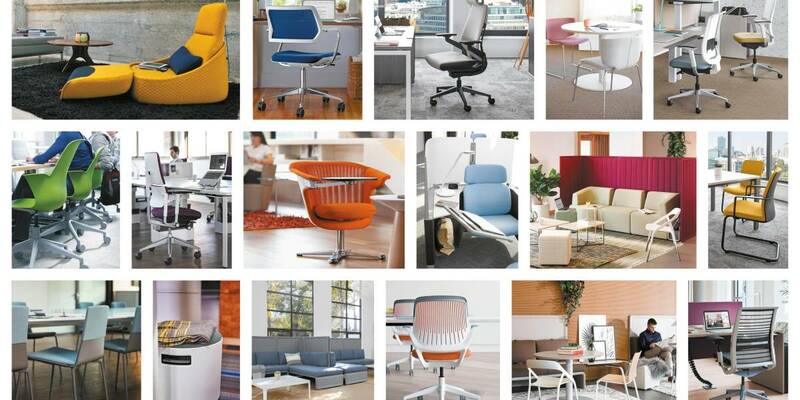 Chairs should encourage movement and be comfortable for lengthy periods so people remain focused and engaged. Observation. People don’t adjust their chairs while collaborating. Insight. Adjustments should be automatic and intuitive. Observation. People change postures when collaborating. 27% recycled content by weight. No CFC or HCFC in the foam. No PVC. 100% recycled cardboard and 30% recycled LPDE film (Low Density Polyethylene) in packaging. Water-based inks without solvent on packaging. ISO 14001 certification of the Sarrebourg site (France). Water-based polyurethane foam. Powder-coat painting: VOC-free and free of heavy metals. Manufactured close to customers, in Europe, as well as in North America. 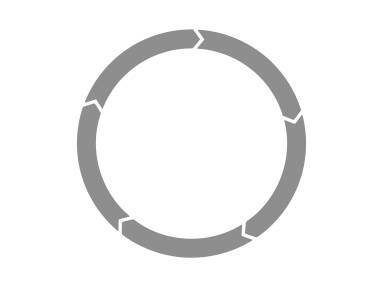 With i2i we can provide Product Environmental Profiles (PEP), an environmental declaration according to the objectives of ISO 14021.
i2i earned a Cradle to Cradle Product Certification from MBDC in the United States. The polyester fabric is labelled with the “Oeko-Tex 100 Standard”. The pure wool fabric is labelled with the “European Flower”. i2i is certified with the Indoor Advantage™ Gold certification, a high level certificate for indoor air quality. 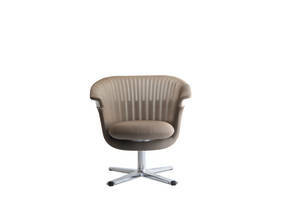 The Design Forum International in Hannover honoured the meeting chair, i2i, with the coveted iF Design Award. The iF Design Award has been one of the most important design awards since 1954.
i2i received a Silver Industrial Design Excellence Award (IDEA). This design award is sponsored by Business Week and judged independently by IDEA (Industrial Designers Society Of America).